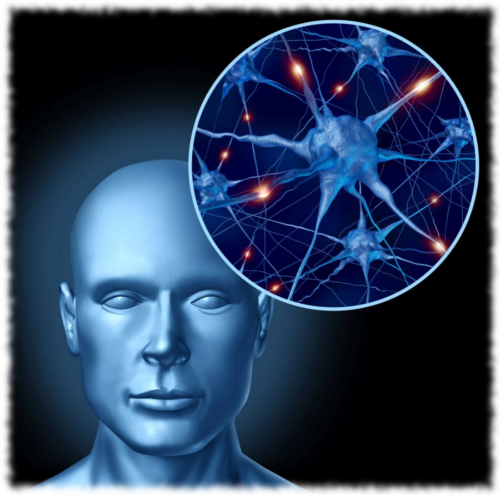 Human intelligence brain medical symbol represented by a close up of active neurons and organ cell activity related to neurotransmitters showing intelligence with memory and healthy cognitive thinking activity. Today’s researchers are examining the many ways that gut bacteria can communicate with the human brain, and have found many pathways. 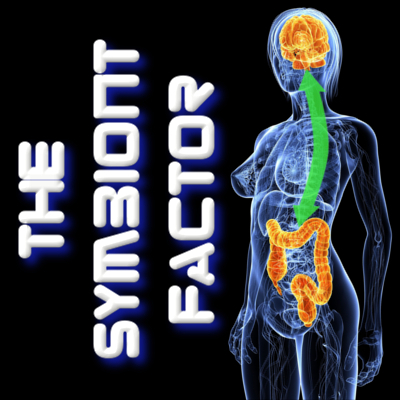 The symbionts can alter the sensitivity of our neurotransmitter receptors, can release molecules that mimic neurotransmitters, produce neurotransmitters and release them into blood circulation, inflict pain or stimulate pleasure. What is the motive and why would they do this? How did bacteria learn Pavlovian training and use it to manipulate our mood, behavior and activity? The answer goes back quite far, but comes down to one thing: survival. From the beginning of evolution, bacteria have influenced the development of the multicellular organism. In many ways, you could look at bacteria as the most basic unit of life although this is generally a title attributed to the cell. Cells themselves are composed of structures that may have originated as bacteria that learned/evolved cooperative relationships. Today’s robotics researchers are studying spontaneous collective functioning as well, a parallel interest of mine. We now are fairly certain that gut bacterial symbionts not only guide the development of the human brain after birth, but influence its development before birth as well. To take that thought a step further, previous generations of symbionts have guided and facilitated the evolution of the human brain itself. Their genetic reservoir of DNA “data” is orders of magnitude greater than that of the human host, and has the ability to evolve and adapt on-the-fly during a lifetime. This gives the potential for intragenerational evolution as well as intergenerational, allowing us to evolve a bit during our lifetime and then pass this on to our children (unless they are born by caesarian section or blasted with antibiotics and vaccinations at a young age, but…that is the subject of other posts!) During our lifetime, from our earliest moments, our symbiont organisms are constantly tweaking our behavior and senses to suit their needs. In a way, we are the machine that permits them to live as a multicellular organism in a far more advanced manner, and in a world that many of them cannot survive in without us. It’s as if we built a gigantic robot that could house the entire human population (except, well, there are more gut bacteria in one human than there are humans on the planet) and used this robot to live in places that we normally could not survive in. We would certainly guide the robot to find foods that we can benefit from and do things that aid our survival. Gut bacteria do exactly that, and very elegantly. It isn’t coincidence that obligate anaerobes cause us to be stressed, which makes us breathe shallowly, tense up our muscles so they burn up oxygen, and even begin to develop apnea during the daytime and at night. What is the result? less oxygen in the gut, and that is what an obligate anaerobe benefits from. Our eating behavior is controlled by gut symbionts, to the point that some can inflict pain directly if we don’t eat something they need or trigger euphoric feeling when we give in and eat what they need. This is the reason that “diets” are so challenging, and particularly so for the obese individual-we are Pavlov’s dog, and the trainer has a cattle prod in one hand and a direct brain pleasure stimulation in the other. What will be your choice today? Yes, we can overcome that and eat a diet of “our” choosing, but only successfully after that diet and behavior changes result in changes to the microbiome. You see, once the microbiome is fed a certain way, the organisms that survive on that diet are the ones that become dominant. You can “starve out” harmful/nonbeneficial organisms, but it isn’t easy or pleasant. During a recent podcast interview with the entertaining and brilliant Clint Paddison (The Paddison Program for Rheumatoid Arthritis) he explained to me that fasting is a primary step in recovery/healing from RA. So, you see, we are as much the puppet as the master-it’s a two way street and while the host influences the symbionts, it works both ways. Symbionts can change our very perception of our world, altering our senses to guide our behavior to their benefit. Ok, so with these thoughts in “mind” consider what the true effect of our diet is. Every single thing you eat and drink or even breathe alters symbiont bacteria to favor those that thrive on the substances in question. Eat a lot of fast “food”? You’ve selectively feeding the organisms that thrive on that. The problem is that apparently most of them are not beneficial to host health! We should also consider that all of these changes to gut bacteria as a result of our eating/drinking/breathing have consequences to our mental function. Everything from mental clarity, intelligence, emotional stability, personality-our very potential as human beings-is influenced by the bacteria that live in our gut. So which do you want to feed, the ones that may make you feel ill mentally and physically or the ones that could help you reach your true potential and live as long and healthy a life as possible? This entry was posted in Uncategorized and tagged ADD, addiction, ADHD, autism, brain, endocannabinoid, evolution, gluten, gut bacteria, holobiont, obesity, schizophrenia, symbiont, symbiosis on May 27, 2015 by Dr. Richard Matthews.